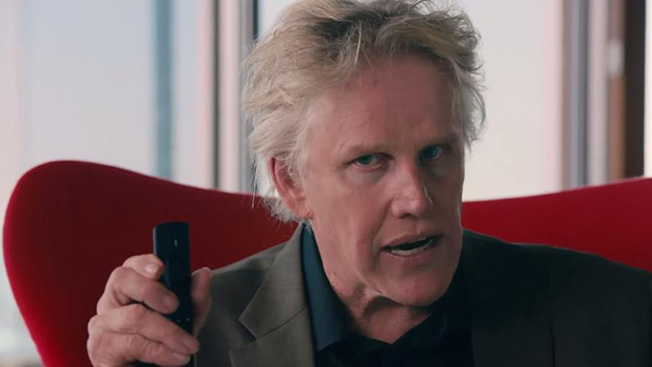 Gary Busey's at his manic, unhinged best in WongDoody's spot introducing the $99 Amazon Fire TV set-top box. Everyone's favorite gnarled, Oscar-nominated lunatic begins, "If you're like me, you like talkin' to things." The actor says hello to his pants and a lamp before thanking the fish for living in the sea. He rings a bell, and as the tone resonates, he vibrates his head and mugs for the camera. Classic Busey! Bedeviled by a Roku streaming player that won't obey his verbal commands, he snarls, "It's frustrating when things don't listen. Especially high-tech things." Mr. B. then demonstrates a key Fire TV attribute. He voice-queries the device—searching for himself, naturally—and spits out a hammy, celebratory "Yes!" when a menu of his movies appears on the screen. Actually, it's one of his saner, more restrained performances. Dude's usually way more bizarre than this.